Get in touch with our expert technicians and service specialists. * While every reasonable effort is made to ensure the accuracy of this information, we are not responsible for any errors or omissions contained on these pages. Please verify any information in question with a Laking Toyota sales representative. Information being displayed may not match the exact vehicle being displayed. Find the Toyota parts and accessories you need! Laking Toyota's Program allows you to trade in your lease early! Lease from as low as $52 + taxes / week at 2.99%. Term of 60 months. Lease from as low as $56 + taxes / week at 3.99%. Term of 60 months. Lease from as low as $45 + taxes / week at 0.99%. Term of 60 months. Lease from as low as $64 + taxes / week at 3.49%. Term of 60 months. Lease from as low as $74 + taxes / week at 3.99%. Term of 60 months. Lease from as low as $70 + taxes / week at 2.49%. Term of 60 months. Lease from as low as $90 + taxes / week at 4.99%. Term of 60 months. Lease from as low as $92 + taxes / week at 5.49%. Term of 60 months. Lease from as low as $90 + taxes / week at 5.99%. Term of 60 months. Lease from as low as $99 + taxes / week at 4.49%. Term of 60 months. Lease from as low as $106 + taxes / week at 4.99%. Term of 60 months. Lease from as low as $94 + taxes / week at 4.49%. Term of 60 months. Lease from as low as $100 + taxes / week at 5.99%. Term of 60 months. Lease from as low as $119 + taxes / week at 5.59%. Term of 60 months. Lease from as low as $111 + taxes / week at 2.99%. Term of 60 months. Lease from as low as $140 + taxes / week at 5.49%. Term of 60 months. Lease from as low as $135 + taxes / week at 4.49%. Term of 60 months. Lease from as low as $169 + taxes / week at 5.99%. Term of 60 months. Lease from as low as $197 + taxes / week at 5.29%. Term of 60 months. Welcome to Laking Toyota, your award-winning Toyota dealer in Sudbury for all your automotive needs. Visit us today and benefit from the finest pricing and top-flight customer service, every time! Laking Toyota offers the full lineup of all available new Toyota vehicles as well as top-quality used cars, SUVs and trucks. We sell Toyota cars, pickups, SUVs and even hybrid vehicles. Our service department features factory-trained technicians and genuine Toyota parts and accessories. 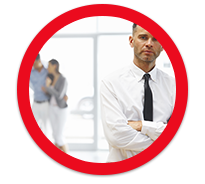 Laking Toyota is much more than Toyota products and services. Laking Toyota has been a longstanding member of the Sudbury community for 25 years, and we're pleased to deliver this enhanced dealership experience for all our customers. Therefore, we make every effort to ensure your satisfaction with every visit. Our staff is friendly and knowledgeable. They will treat you with courtesy and respect as soon as you enter our dealership. 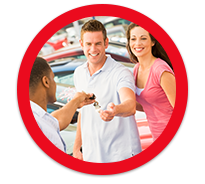 They are here to help customers choose the best vehicle and to provide top-quality service. 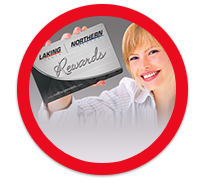 Laking Toyota is your number-one source for Toyota maintenance and repair in Sudbury and Northern Ontario. We offer professional collision repair services in our modern facility. Our body shop service makes getting the repairs you need quick, easy and effective. Need to prepare your vehicle for the next season? Laking Toyota can even help guide you in the purchasing of your next set of tires. 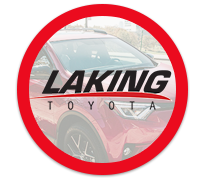 When you come in to Laking Toyota, you can rest assured that you’re getting only the finest quality parts, accessories and services – each and every time! At Laking Toyota, we also have great discounts and unbeatable promotions on all our Toyota products and services, as well as affordable financing and leasing plans on the purchase of a new Toyota vehicle. We also have a large selection of pre-owned cars. Whether you’re looking for a Jeep, Honda, Nissan, Kia or Toyota, our wide and varied inventory is sure to have what you need. Our financing options are advantageous and accessible. We even have an Express Credit Application online form to get your credit approved. We guarantee you will not leave our dealership empty-handed. Come and discover all of our Toyota products and services today at Laking Toyota in Sudbury. We look forward to continuously making things better for you by serving you in our new state-of-the-art facility. To learn more, contact us today at 1 844 758-7924, or online through our contact form.